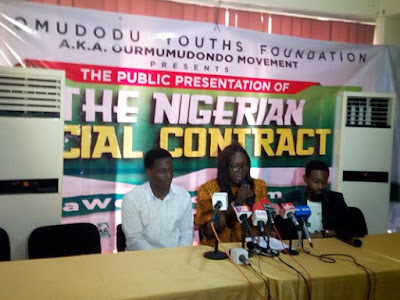 NAN recalls that Mr Deji Adeyanju, an activist and estranged member of Ourmumudondo, recently released an audio recording, alleging that Charlyboy agreed to receiving money from Mr Festus Keyamo, Spokesperson of President Buhari Presidential Campaign Organisation. Adeyanju and some members then called for the removal of Charlyboy as the group’leader, saying he compromised with the “enemy”. He added that he remained non-partisan, and was neither in support of any political party, as his yearnings was for the not-too-young-to–run mantra to strive.